HM Technical Sales, through our engineering design partnerships, provides the expertise your team needs when faced with critical project deadlines. We view ourselves as an extension of your team. We will help you design your product for manufacturability while reducing your costs and lead times. Why Should You Use HM Technical Sales Engineering Services? We work on accelerated product development cycles to achieve an optimized balance between time to market and full integration for manufacturability. Our services include assisting your current engineering staff where needed or complete turnkey product development from your concept to manufacturing with cost effective, straightforward solutions. With our supplier partners within Southern California we can achieve shorter cycle times for prototyping and product development. This allows our clients do what they do best and outsource the rest. 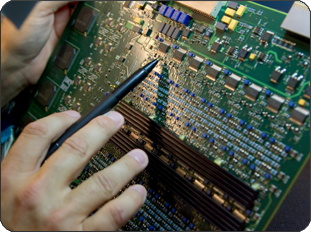 PCB layout & design, rigid, flex, rigid flex, RF, high frequency expertise. Design tools : Altium, Solidworks, Pro-E.
Industrial design services by Cannon Advanced Design. Idea creations, 3D modeling, market-ready renderings, solid/surface modeling, mechanical engineering and manufacturing documentation, prototyping to validate product design. Tools: Pro-E plus others.